Contributions on climate change, conservation agriculture, hydro-pedology, water harvesting and emerging crops are currently of specific interest. 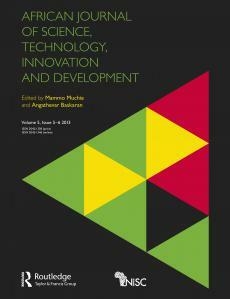 All manuscripts presented in accordance with instructions to authors (printed in the back of each issue) should be submitted online at the South African Journal of Plant and Soil ScholarOne Manuscripts site (http://mc.manuscriptcentral.com/sajps). Editorial policy: Original papers, short communications including germplasm registrations, book reviews, comments on papers recently published and reviews on research in fields of soil science and applied plant science will be considered for publication in this journal. 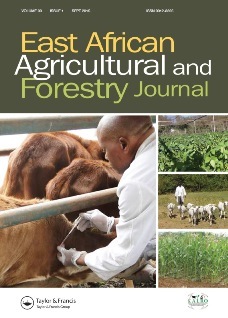 Authors should view the full scope of the journal here. Contributions must conform to the principles outlined in Ethical Considerations in Research Publication available for download below. The language medium is English and four volumes are published per year. All papers will be refereed, by at least two referees. Authors bear sole responsibility for the factual accuracy of their publications. Copyright for all published material is vested in the Southern African Plant and Soil Sciences Committee. All papers are subject to page charges of R250 (society members) and R700 (non-members) per page (VAT inclusive). 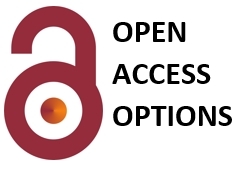 Authors may consider to make their final published article open access, with limited restrictions on reuse, once an article has been accepted in peer review. This is available for authors, their research sponsors or their funders. An article publishing charge (APC) is applicable, but authors based in sub-Saharan Africa may be eligible for a discounted regional rate. Read more information about our Open Select programme here. • Title of the article. 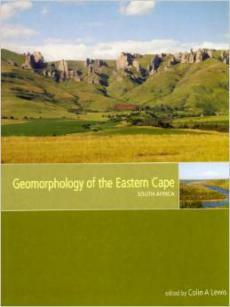 • A statement that all authors have reviewed the manuscript and approved its submission to South African Journal of Plant and Soil. • A statement that the manuscript is not being submitted elsewhere. • A statement indicating why the journal should consider publishing the work and outlining the importance of the research. All manuscripts should be double-spaced in A4 format with 2.5 cm margins and Arial font of 12 pt. As a general guide to manuscript preparation, refer to the sample copy available here. The editor will acknowledge receipt of your manuscript. If an acknowledgement is not received within 14 days, the corresponding author should contact the Editor-in-Chief. Full-length original papers: Contributions submitted should be written concisely and, generally, must not be more than 6 000 words in length. Typescripts that are not concise or do not conform to the conventions of the Journal will be returned to the authors for revision. Short communications: Contributions reporting new techniques, work still in progress or lesser completed investigations should not exceed about 1 800 words including a brief abstract, tables, text, figures and references. No subheadings are to be included and the discussion should be as brief as possible. Authors are requested to adhere strictly to the following directives. The contents must be arranged in an orderly way with suitable headings (not for short communications) for each subsection. The text and all tables should be prepared in a single MS Word file. Title, authors and institutional affiliations. The title must be informative and brief. Provide the preferred name and initials of the author(s), the institution where the work was done and an email address for the corresponding author. The Abstract should convey essential information such as rationale, objectives, methods, results and conclusions. It should not exceed 200 words. A maximum of five keywords must be provided in English in alphabetical order. The following subdivision of the body text is recommended: Introduction, Materials and methods, Results or Results and discussion, Discussion and/or Conclusions, Acknowledgements, References, Tables and Figures. Figure legends must be directly below each relevant figure. Footnotes in the text should be avoided. The common name, followed by Latin binomials with the relevant authority in parentheses, must be shown for plants, insects and pathogens when first used in the abstract and text. At the first mention of a pesticide, except in the title and body of the abstract, give its approved common name first and follow it with the full chemical name. Use only the common name thereafter. For units of measurements, use the SI system. Authors are referred to, and encouraged to make use of, the Publications Handbook and Style Manual (Ch.7) of the American Society of Agronomy for detailed guidelines on preferred units and their acceptable alternatives. The decimal point must be used instead of the decimal comma. For stylistic conventions, please refer to Presentation of Mathematical and Statistical Data available to download below. Tables: Tables are numbered consecutively in Arabic numerals (Table 1) and should bear a short yet adequate descriptive caption. Units are to be clearly shown. Footnotes to tables are designated by lowercase letters. Tables should be presented on separate pages at the end of the manuscript. Figures: Conform to the journal style paying particular attention to line thickness, font and figure proportions, taking into account the journals printed page size. Costs of redrawing figures may be charged. Please refer to Figure Guidelines for Authors: format, style and technical considerations available for download below. For digital photographs or scanned images the resolution should be at least 300 dpi for colour or greyscale artwork and a minimum of 600 dpi for black line drawings. MS Office (Word, Powerpoint, Excel) files are acceptable, but DO NOT EMBED Excel graphs or Powerpoint slides in a MS Word document, rather send the original files. Illustrations can be reproduced in colour, but only when essential, and subject to approval by the Editor-in-Chief. Non-essential use of colour will be charged at ZAR900 (excl. 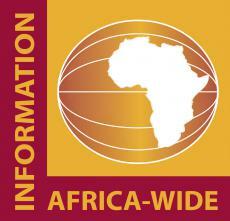 VAT) per page for African contributors and USD150 per page for contributors from elsewhere. Geolocation information: Add a Geolocation Information section in a separate paragraph before the Acknowledgements. This will be used for indexing the study area accurately in JournalMap’s geographic literature database. View more information here. References: Cite references in the text in chronological order (Patrick 1974; Allen et al. 1986). Use the abbreviation et al. for more than two authors. The reference list should comprise only published material and theses or reports normally available in libraries. References should be listed alphabetically by authors’ surnames. Journal names must be cited in full and italicised. References to conference abstracts are not permitted. Allen SG, Taylor GA, Martin JM. 1986. Agronomic characterization of ‘Yogo’ hard red winter wheat plant height isolines. Agronomy Journal 178: 63–66. Brommett JM. 1975. Isotope-ratio analysis in tracer investigations. In: White JB (ed. ), Methods of soil analyses. Madison: American Society of Agronomy. pp 225–230. Patrick AC. 1974. Root growth and development (2nd edn). New York: McGraw-Hill. Refer to Reference Exemplars for Authors available for download below for additional examples of reference formats. Final proofs will be emailed to authors as a PDF file to check and the Publishing Editor should be advised of any corrections within three days of receipt. A careful check should be made of the references, numbers of tables and figures. Electronic reprints: Authors will be notified by email when their article is available for download from the journal website. 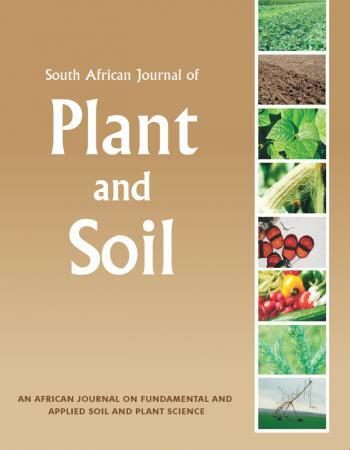 Enter your details below to subscribe to South African Journal of Plant and Soil. Have a question about South African Journal of Plant and Soil? Call us on +27(0)46 622 9698 or submit an enquiry using the form.